Watch On Demand professional wrestling from the Absolute Intense Wrestling Archives anytime, anywhere for only $7.99 a month! 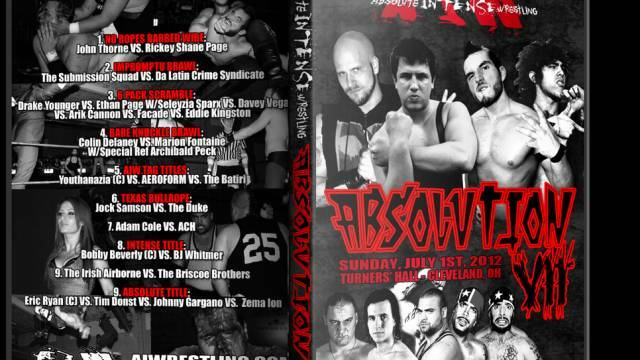 Long hailed as one of the premier proving grounds for the best talent in professional wrestling, Cleveland,Ohio's Absolute Intense Wrestling has been keeping the spirit of gritty, do-it-yourself, independent professional wrestling alive for 10 years and counting. AIW has been home to the likes of Tyler Black (Seth Rollins), Johnny Gargano,Kevin Steen (Kevin Owens), Colt Cabana,Sterling James Keenan (Corey Graves) , Tim Donst, Alex Shelley, Chris Sabin, Michael Hutter (Ethan Carter III), Athena, and countless others. These aren't just tomorrow's "superstars" â€” the men and women of AIW are the best in the world right now, wrestling in the most unique match-ups in front of the sport's most rabid fans. Get in on the ground floor with this unique selection of content from the AIW video library, and watch what the underground is talking about. Notable AIW Alumni: Bryan Danielson (Daniel Bryan) ,Jake "The Snake" Roberts, Crimson, Tammy "Sunny" Sytch, Jon Moxley (Dean Ambrose) ,The Honky Tonk Man, Rickey Morton, Sara Del Rey, Sami Callihan (Solomon Crowe) , Drake Younger, Cliff Compton, Rob Conway, Luke Gallows, Paul London, Low-Ki, Brian Kendrick, Michael Tarver, Ryan Nemeth, Steve Corino, Shane Douglas, Sabu, Al Snow, Buff Bagwell, Zema Ion, Abyss, Gail Kim, Davey Richards, The Briscoe's, Adam Cole, Chris Hero, Kyle O'Reilly, ACH, AJ Styles, Sonjay Dutt , Matt Morgan , Elix Skipper , El Generico, Larry Sweeney, Ricochet , Chuck Taylor, Jessicka Havok, Hailey Hatred, Uhaa Nation, Rockstar Spud, and many more! 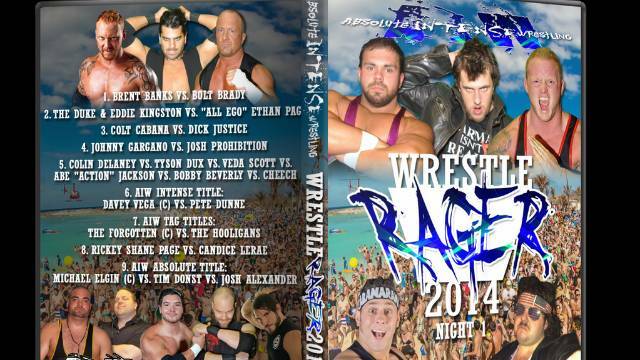 We're proud to include Cleveland All Pro Wrestling (CAPW) in the AIW Archives. As the territory days were ending, there was a need for pro wrestling action in Cleveland, Ohio. JT Lightning started CAPW in 1993. Numerous Superstars, Legends, Hall Of Famers and more were in the CAPW ring over the years. CAPW ran for 18 years until JT's untimely death. We'll be featuring many memorable matches and moments from those almost two decades. Watch Our 2010 Shoot Interview With Masada Right Now! May Meltdown 2005 Featuring CM Punk Is Now Streaming! The First 3 GNO Events Are Now Streaming! The Best Of Tyler Black Now Streaming! Double Dare Tag Team Tournament - November 1, 2013. 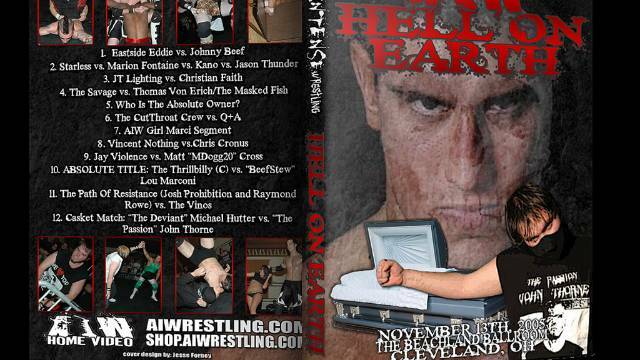 The Best Of Tyler Black (Seth Rollins) In AIW.